BLOCH & MIRELLA M1207C DELICATE BLOSSOM EMBROIDERED MESH CAP SLEEVE TUTU DRESS - Attitudes Dancewear Etc. 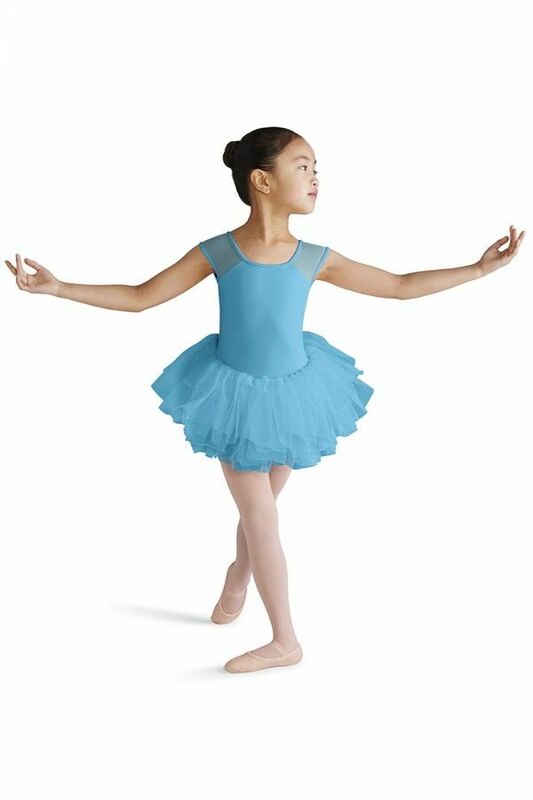 Your budding ballerina will love this adorable tutu dress, an all in one piece that is especially ideal for younger dancers as it can be pulled on easily over a pair of ballet tights. Mesh cap sleeves continue into an embroidered mesh bow back design with a small keyhole at the center of the back. 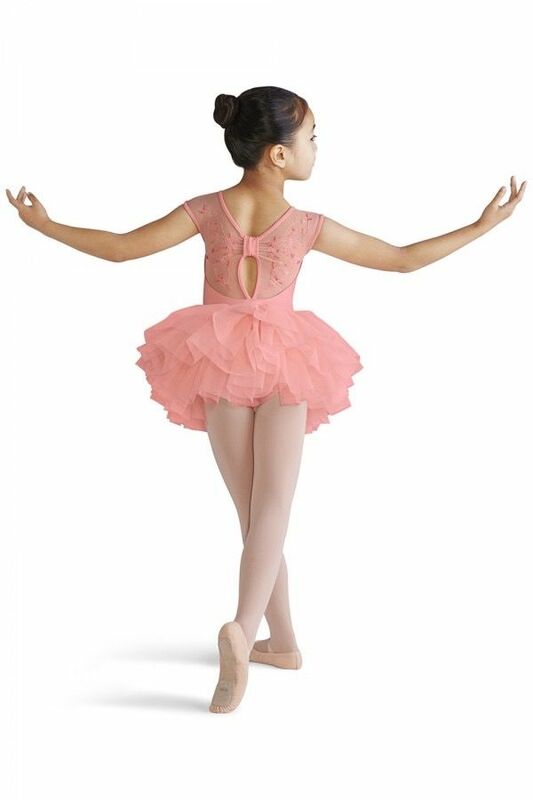 A modest scoop front neckline provides full coverage for your tiny dancer. An attached tutu skirt is made up of graduating layers of soft tulle to give that bouncy and voluminous tutu look.